It was supposed to be Wearrior Ainul's turn actually to blog, but due to certain difficulties, I will be filling in first! Hope you guys are all well, sadly, I have been sick for a week now. I have been busy with performances last few weeks, I had Dakwah Showdown, as well as SUPAS Varsity. As a result of excessive singing, I have a husky voice now. Moving swiftly on, SPRING IS COMING! 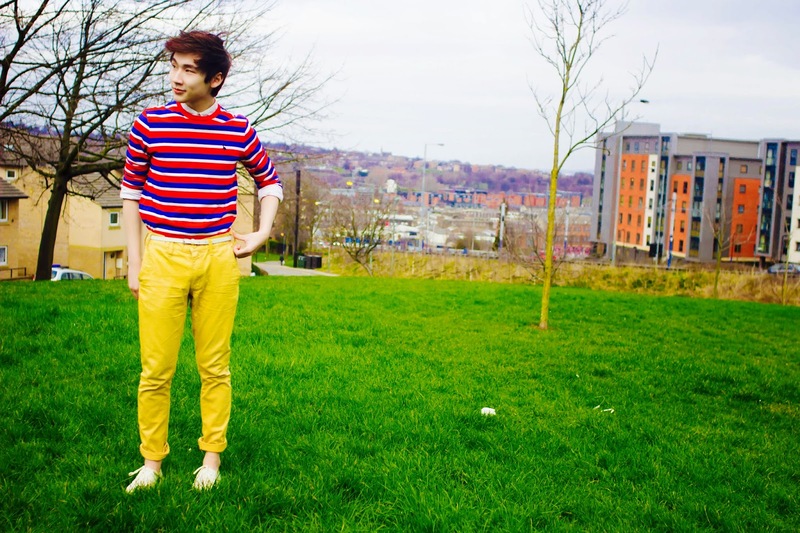 So, today's post is about the magic with coloured pants! 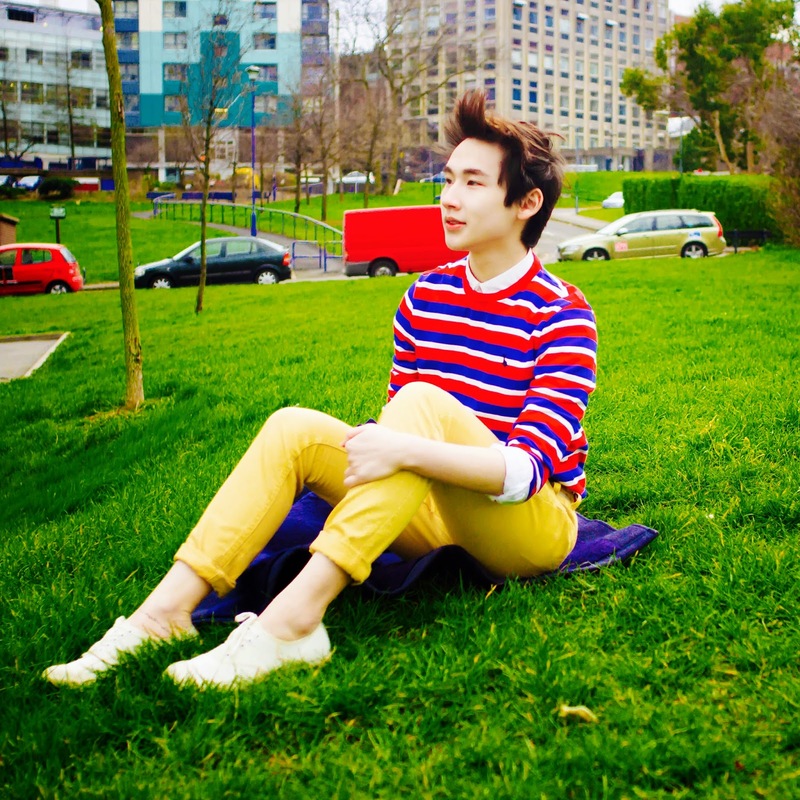 I was supposed to show you guys, a total of five coloured pants. But, I have decided to reduce it to the three that I thought looked the nicest. But who knows? 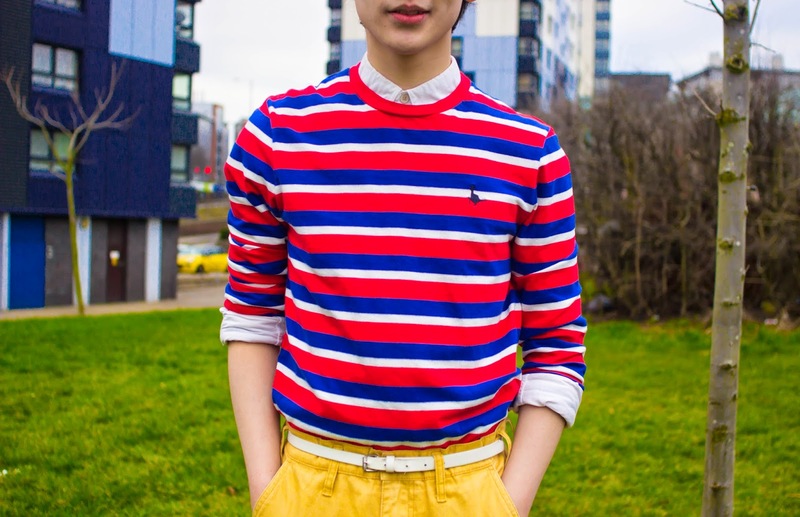 I might be blogging about the other two coloured pants for a bonus post, sometime in the future! Here are the three coloured pants that I have chosen! Off-white (could be considered Beige as well), Yellow and Black. But before we get to the three magical pants. I am gonna be talking about one of my favourite long-sleeved shirts that I have ever bought so far. I remember I bought this in Portsmouth, and when I first saw it at Jack Wills, I thought it looked very interesting. I decided to try it on, and when I showed it to my cousin, she said "It looks like a pyjamas shirt" and my jaw dropped. Perhaps, she was right that it could turn out into looking like a pyjamas. However, I had faith in the shirt, and I believe I could make it work. 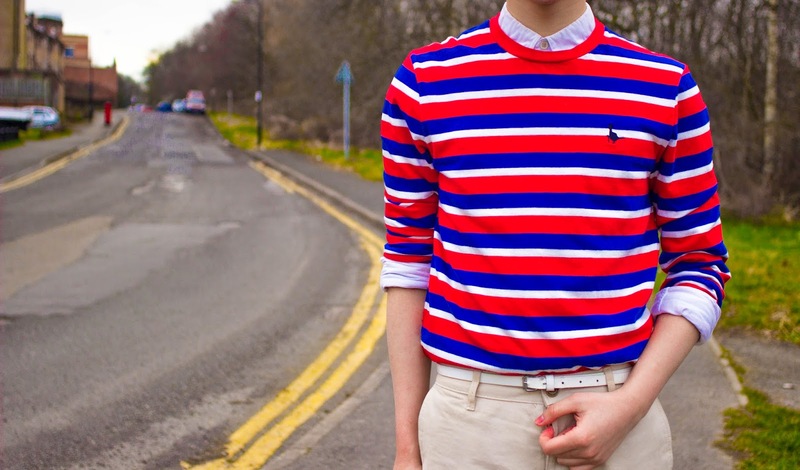 Moreover, the shirt has actually a versatility look, because it can actually look like a sweater. The trick is to wear it with a white collared shirt inside, as well as the colour of the pants that you choose complement it with. I have also accessorised it with a thin white belt. 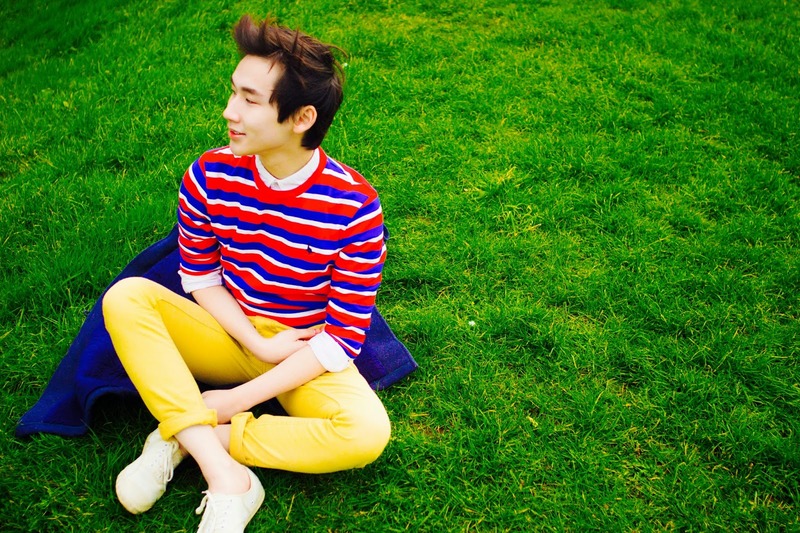 A close up with yellow coloured pants. First up! 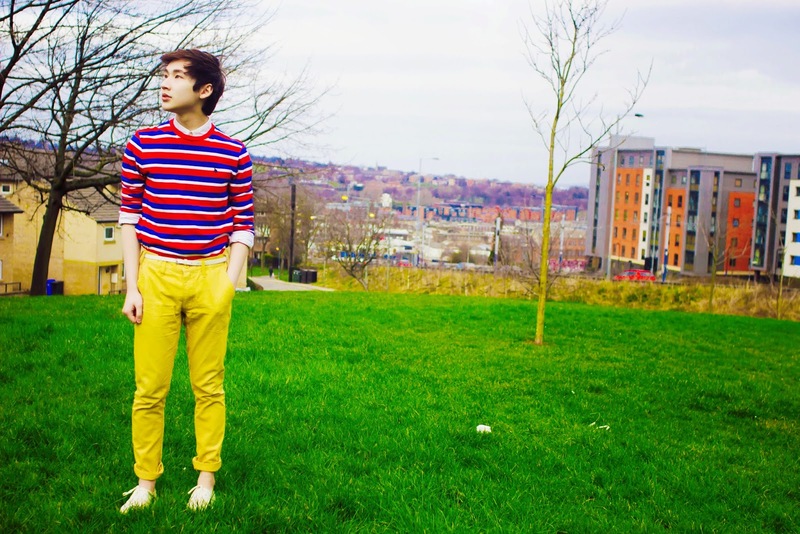 The yellow pants. I am a bit biased with the yellow one because it is my favourite for the whole outfit! I just think, it looks like a fun and outgoing outfit. It fits the whole spring look. The off-white shoes from Lacoste was a present from my sister, when we were in Paris. And it really adds the finishing touch the outfit, it wouldn't go well with other shoes. Up next! The off-white pants. 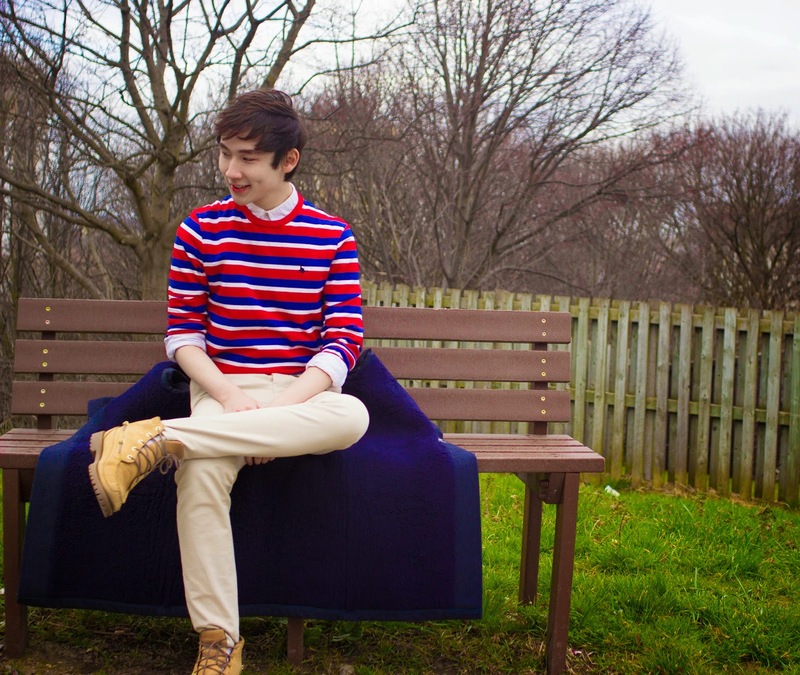 I personally feel like the off-white chinos gives a really pleasant and subtle look to it. It looks quite smart as well. It works really well with my golden-yellow Timberland summer boots. Last but not least, black chinos. This look was very interesting to how it came into existence, it's more because I was just trying stuff randomly. And when I tried it on, it looked actually really good. 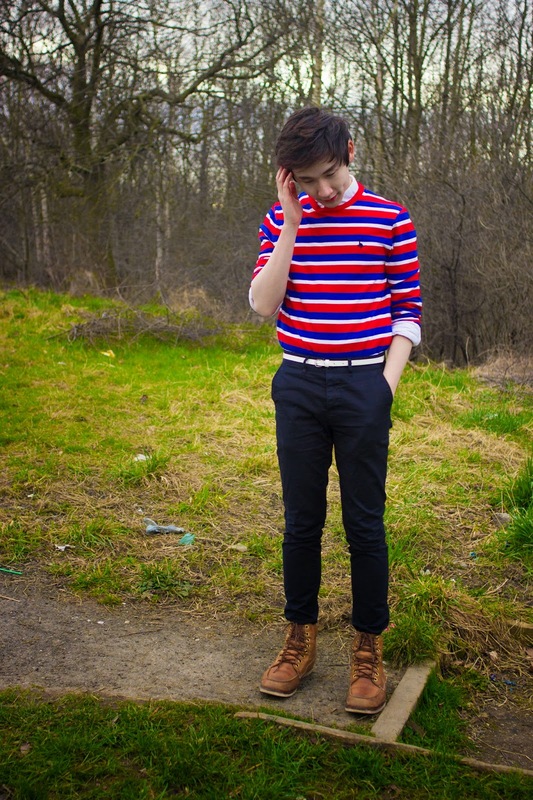 I have never thought of adding a black chinos to the outfit! It gives much an edgier look and very good for the night look, I believe. I have also added one of my classic brown leathered Timberlands to go with the whole outfit! It can actually work well with the yellow Timberland as well. 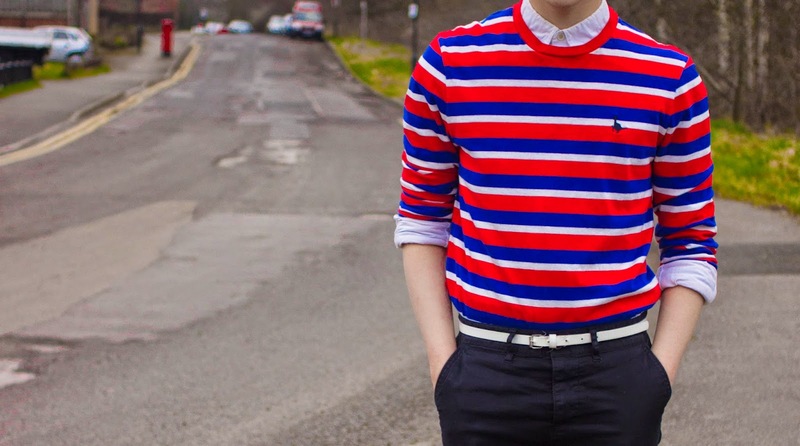 It's a perfect look for those who really wants to equalize the Jack Wills shirt. That is all from me this week guys! I am really excited to show my outfits for Spring and Summer. More colours will be shown for these two fun seasons. Hope you guys enjoy this post. You will definitely see more colours from this moment on, from me. 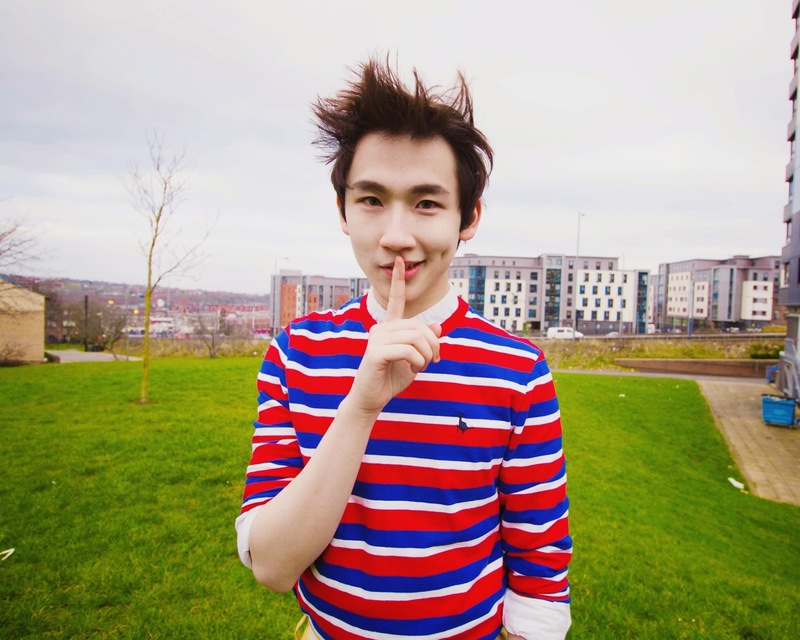 P/S: Got a secret, can you keep it? Next week will have a new face.